Of course it would end like this, with May on trial for extortion. After all, she has been named the “Most Dangerous Woman” by the Pinkerton Detective Agency and one Pinkerton in particular seems to be trailing her. All May has ever wanted was to provide for her family and get out of her small Michigan town. Chicago had promise, and was so close to home, but that damned Pinkerton Reed Doherty first targeted her there, necessitating a life on the move, always looking for the place she could settle down and be secure. May is a fabulous, if possibly unreliable, main narrator. She’s smart, sly, and self-assured and her story is an absolutely fascinating one. Biaggio leads her readers all over Europe and the continental United States at the turn of the 20th century. Is May really a con woman? Does she just want a good and secure life? Both? Neither? Biaggio has a great sense of pacing, moving back and forth deftly between the trial and the years leading up to it, never losing her reader’s interest. This is the whole package: lovely writing, great story, amazing characters, and vivid settings. If you pick up the audio, you actually get the whole package plus, because Leslie Carroll’s narration captures May beautifully. 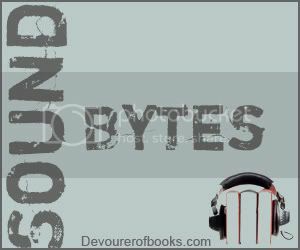 Like Biaggio, she has great pacing, and the voices she creates for the secondary and tertiary characters bring listeners even more fully into May’s story. Such a fabulous book and, as good as I’m sure it is in print, the audio production adds that extra je ne sais quoi. I adored it, very highly recommended. Sounds like a great audio! I wonder if this book would be good to add to “If You Like Downton Abbey” lists. I haven’t actually watched Downton Abbey (I know, I know) so I couldn’t say exactly. My feeling is it isn’t as close to Downton as is Habits of the House, but the time period is similar and fans of the show would probably enjoy it. I would definitely recommend Parlor Games to those who love Downton Abbey. The periods overlap and beautiful costumes and intrigue can be found in both. Although May, the main character in Parlor Games, does spend some time in England, she gathers not a bit of moss and sees much of the world. I love unreliable narrators! This sounds like a winner! You had me at Pinkerton!! This sounds like an audio I would really enjoy. thanks for the recommendation! Still eternally grateful for the fact that you introduced me to audiobooks oh so long ago. I have no idea how I managed for so long without them! Aww, that makes me so happy to hear. I’m so glad you were open to being introduced to them! Oh this one sounds good! My library doesn’t have the audio yet but I’m adding it to my wish list for when they do. My husband is reading this right now. I’ve been trying to decide if I’ll pick it up after he’s done. I just added this to my to read list, so glad to see a good review. I can’t tell you how glad I am to find another book blog that is reading some of the same books I am, too! I’ll definitely be keeping up.